I have been, currently am, and always will be a huge LEGO fan. I grew up playing them, with the pirate and western themes being my favorites. Now though there is something called Lego Cuusoo, a website designed to allow people from all over the globe to come up with brilliant ideas for Lego sets in the hopes of having them produced. That said, I wanted to have a thread showcasing some great Nintendo-themed ideas from the website as well as allowing general discussion of what would make for a good Nintendo-lego set. I've seen multiple Zelda ideas and even a Pikmin Memorial. K-Nex has released various Mario playsets in a rather cool move. Plus there are those Mario Kart K-nex playsets. It's all very exciting news, even though I'm entering my late twenties. So allow me to present one that is on the cusp of a true LEGO review, the Iron Knuckle playset from The Legend of Zelda: Ocarina of Time. How cool is this? I love the idea of little play sets from various scenes in the Zelda games. I would purchase each of these as a prized possession. It would blow my mind. What about a Temple of Time play set with two rooms and the first has the Sacred Emeralds while the other has the Master Sword? Maybe there could be an outside of the Spirit Temple play set where there's a treasure chest in the one hand and it includes Kotake and Koume minifigs for Naroobi's capture!? Maybe a hidden cave on the side wall where a certain treasure could be found? Then there's this one, from The Legend of Zelda: Wind Waker. What excites me so much about seeing this is the potential for how the sets build with each other. Imagine having various 'island' sets which could then all be laid out to allow for some high-seas Lego action!? I bet a bunch of pieces could be borrowed from their already existing Pirate lines. This particular one is pretty cool and rather simple in execution. I'm not sure how much would go into making the bigger islands like Windfall and Outset, since the scale is quite substantial... but having a $100 set of Outset island is absolutely something I would be interested in... maybe I'm crazy but it'd be not just an investment into my number one favorite hobby, but also something I could share with my children down the line. These are just the Zelda one's I came across but I'm sure there's others I haven't. In fact, I know there is. What would you like to see in a Nintendo Lego set? Describe in vivid details if you can because while we can't build these structures just yet, we absolutely can create them in our minds. PLEASE take the time to SIGN UP and SUPPORT/VOTE for these play sets. 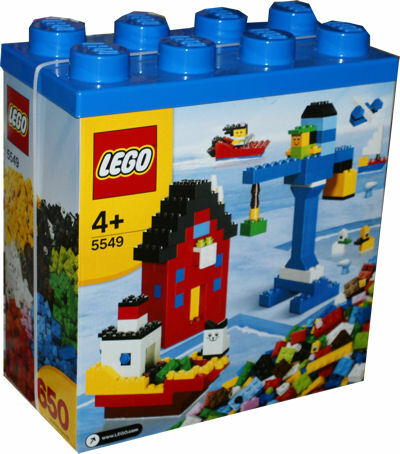 Even if you personally wouldn't end up picking it up, every vote helps get Lego to consider these play sets for others. You'd be doing everyone a huge solid for it. Plus, if you're not fully sold on an idea, Lego will always have the final design say, so really... these projects should all get better as they progress! Thank you all for listening and reading. Interesting. With all the other licensing that LEGO has done over the years, it's surprising that they haven't done Nintendo. With K-nex stepping into that world more and more, I am really hoping Lego jumps on that bandwagon so they can do it even cooler. Imagine a Super Mario Bros. end-flagpole playset with Mario and a Star? Or I was thinking more about Zelda last night and imagining maybe a Majora's Mask Clock Town Square... maybe the Observation Lab from the Great Bay, lol. Just so many set pieces that would make for nice tabletop fun. How about a Lego minifig of Tingle? Who doesn't want that!? He could be part of the Tingle Island Wind Waker set. Oh yeah. I think the Snowpeak Mountain Mansion from Twilight Princess could be a really cool (no pun intended) set piece. Or maybe Zora's Domain? Or how about Tal Tal Heights from Link's Awakening, with the giant egg sitting on top? Oooh! I like your thoughts. I think Zora's Domain might be hard to pull off well, but Snowpeak and Tal Tal Heights would be pretty nice. The latter could be complete with that egg and then it breaks open to enter the final dungeon! Bridge of Eldin from Twilight Princess would be spectacular also. It'd be kind of like their already existing London Tower, but redesigned and purposed obviously. Oh yeah, Bridge of Eldin! Nice! Yeah, we should totally get LEGO to do this. Also? LEGO should hire us! I actually saw the Delorean CUUSOO in the LEGO Store near me on Saturday (and if I would've had $35 extra this month, I would have bought it). Cool! I'd love to see LEGO and Nintendo partner up...I'd buy those sets in a heartbeat. I am of that crazy old-school group that think Legos should never come in "playsets" and kids should need to decide what to build instead of having already mostly assembled things that only go together "correctly" one way, but still neat anyway. Well, the Iron Knuckle idea in the OP is officially going into review now at Lego Cuusoo. This thread will now not be limited by video-game Lego Cuusoo products. Lets talk about any and all Lego products! You get a new set? Showcase it! You really want one, tell us! There's a good deal somewhere? Share it! As for the reason for the bumping... check this out. Honestly, I'm not a huge fan of The Simpsons, and no doubt this will cost a bunch, but even still, it's all very very tempting. I wonder what the inside looks like. I think it's around .10 a piece, so probably 250 bucks. Rounded up to 300 most likely. But totally worth it. Yeah, that's probably a solid formula. In my experience, I feel like they round up way more than they round down, but it's possible either way. I agree with you there, but there are some sets that are just so nice, like the Back to the Future one (I HAD to get it... Seriously, if I didn't I would have exploded). That Simpsons set... Oh man, I must have it! At the price it will be however, I will only have it in a dream. Also, I'm tempted to repost my Delorean pics in here, but I'm just so lazy! $199 dollars! Cheaper than I expected. Oh man, that is beautiful! Wow… so a guy named Tim Schwalfenberg has used over 20,000 bricks and over 100 hours of his life to create a whole city block diorama out of LEGO but reflecting the areas and devastation as found in the awesome PS game, The Last Of Us. Look at this beauty. Wow.